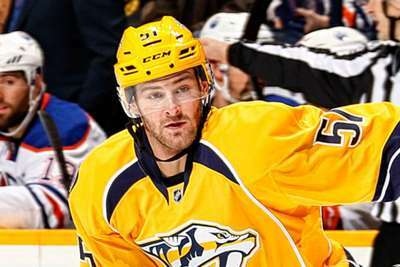 Nashville Predators forward Austin Watson was suspended for 27 games for unacceptable off-ice conduct, the NHL announced. Commissioner Gary Bettman issued the suspension following an investigation by the league and an in-person hearing in New York on Friday to determine the relevant facts and circumstances relating to a June 16, 2018 incident involving Watson and his domestic partner. "I have determined that Nashville player Austin Watson engaged in a physical confrontation with his domestic partner," Bettman said. "Today's ruling, while tailored to the specific facts of this case and the individuals involved, is necessary and consistent with the NHL's strongly held view that it cannot and will not tolerate this and similar types of conduct." The NHL Players' Association announced they would appeal the suspension.